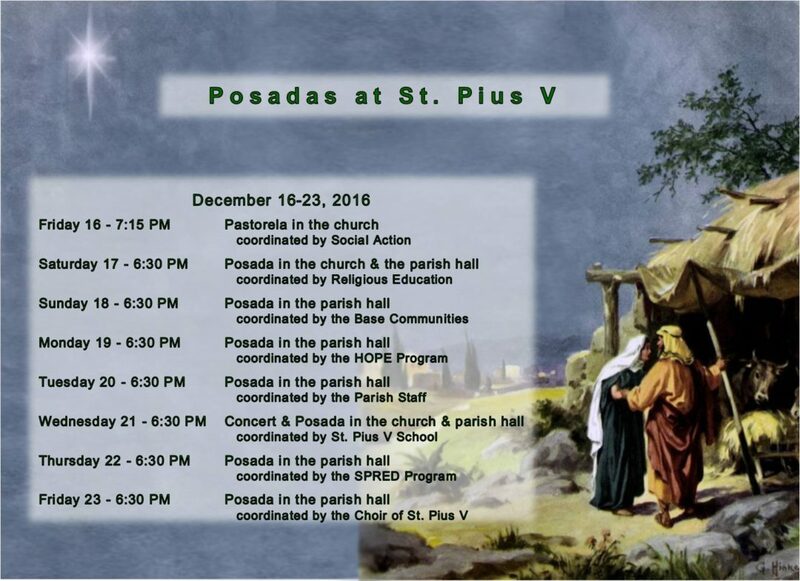 The Posadas are traditional evening gatherings for nine nights leading up to Christmas Eve. In them we commemorate the journey of Mary and Joseph in search of shelter to give birth to baby Jesus. 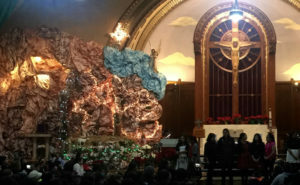 At St. Pius V we come together in a festive atmosphere in the parish hall for music, prayer, stories, and the breaking of a piñata. 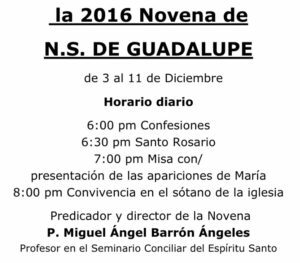 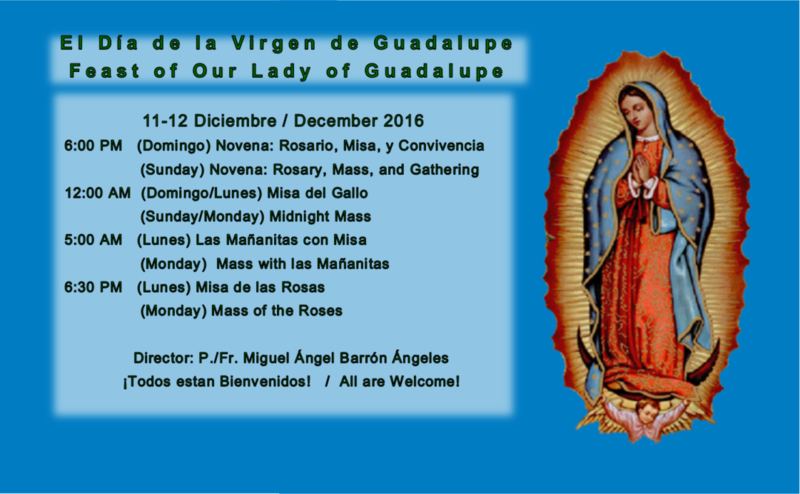 La Novena en honor a la Virgen de Guadalupe ha empezado en la iglesia de San Pío V y continua hasta el 12 de diciembre.